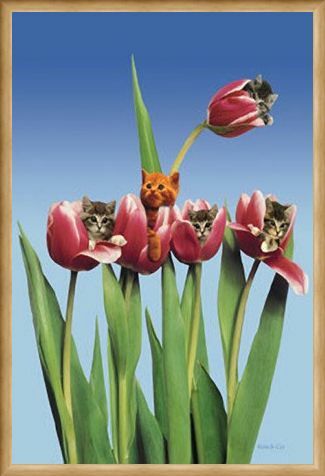 Animal Photography Poster: This stunning animal photography poster captures 5 gorgeous little kittens taking a peek at the world from the comfort of their beautiful red tulips. Set on a vibrant blue backdrop, the green and red of the flowers reach their climax as they bloom and allow the little kittens to appear. 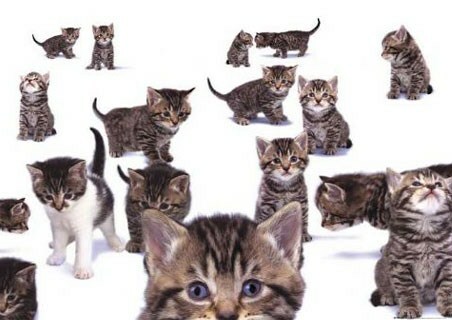 With curious eyes and cute expressions these gorgeous kittens have been snapped at their most beautiful. 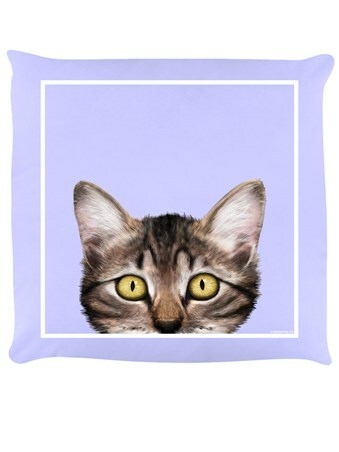 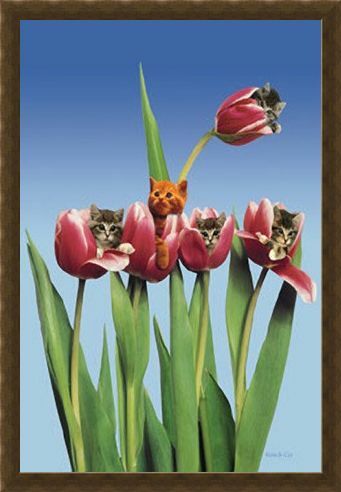 Brighten up your home with this adorable image that is sure to warm even the coldest of hearts. 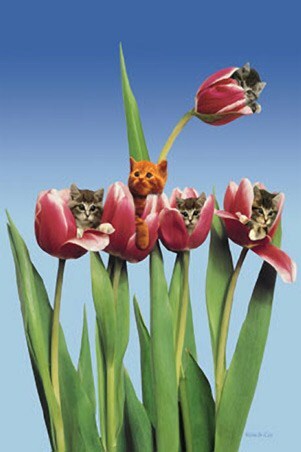 High quality, framed Kittens in Tulips, Cute Little Kittens poster with a bespoke frame by our custom framing service.